This past Friday, Neil achieved one of his biggest goals since finding his dream job. 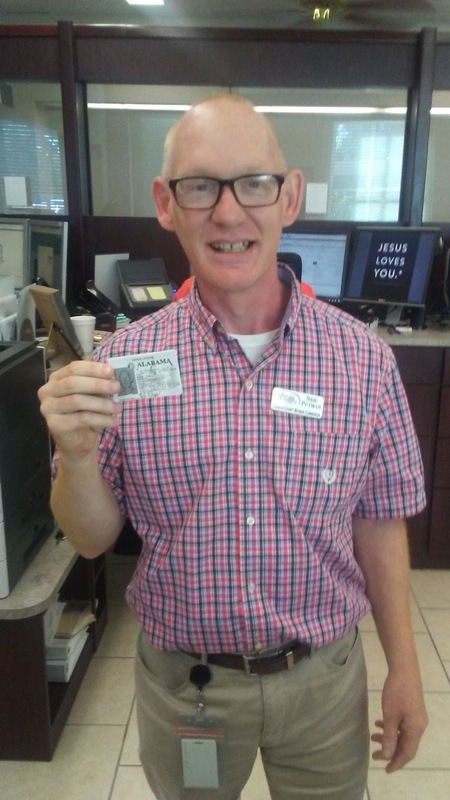 Neil passed his driver’s permit test. Neil is a strict vegetarian and lover of all hot peppers, so he ordered a spinach alfredo pizza with jalapeños and a pepperoni with extra cheese for his co-workers. The excitement led Neil to Mitch Smith Chevrolet after work Friday. Neil has a budgeting plan in hopes of buying the car but knows he still has to learn and get a license. Flourish is helping Neil with all the paperwork needed to begin using his permit. Neil plans to continue working on his to-do list. He wants a driver’s license, a car, CPR certification, anatomy and other classes at Wallace, and certification as a personal trainer.